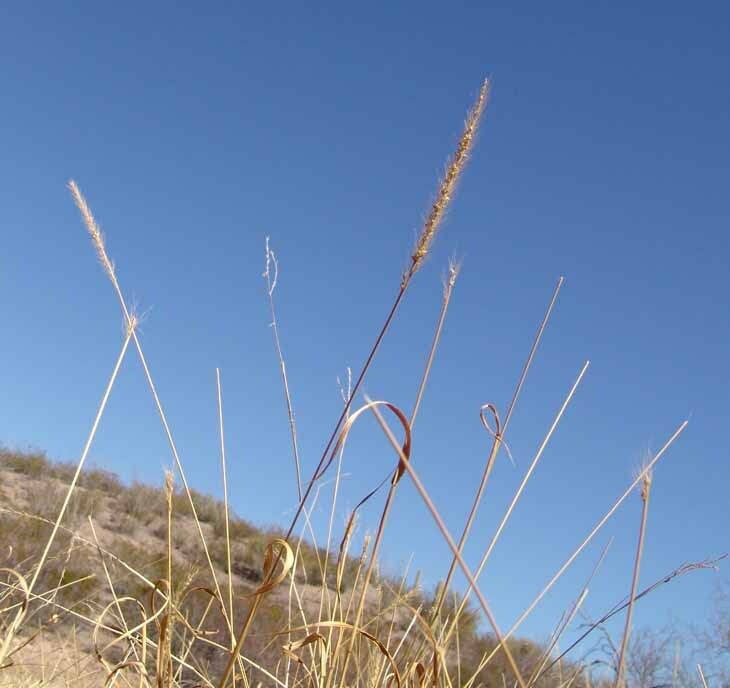 A warm season, perennial bunchgrass, Plains Bristlegrass is bright green during the growing season, with seed stems as high as 3 feet. 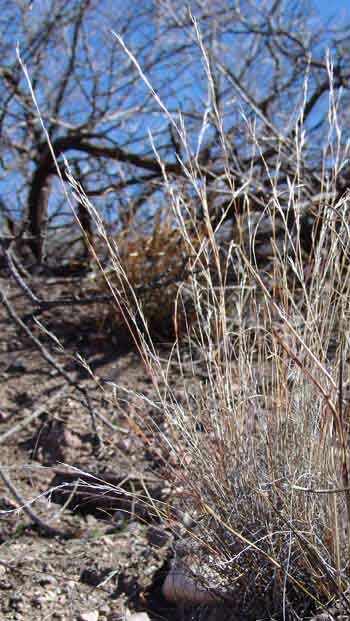 Leaves are thin, up to 16" long, and somewhat hairy. 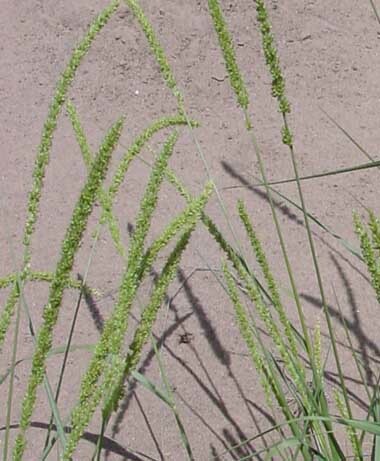 The inflorescence (below left) is contracted -- spikelike and narrow, up to 10" long with plump seeds and stiff bristly hairs (see details, photos far below). 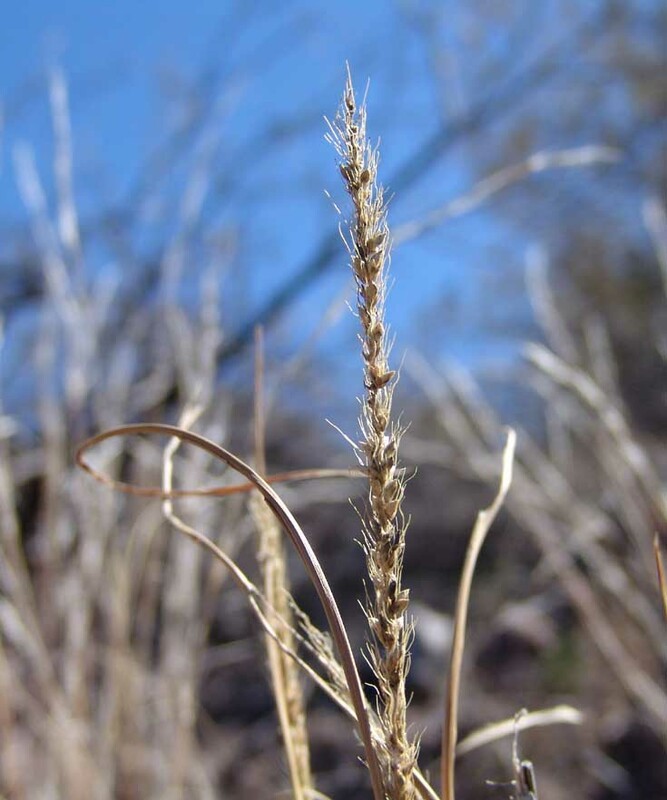 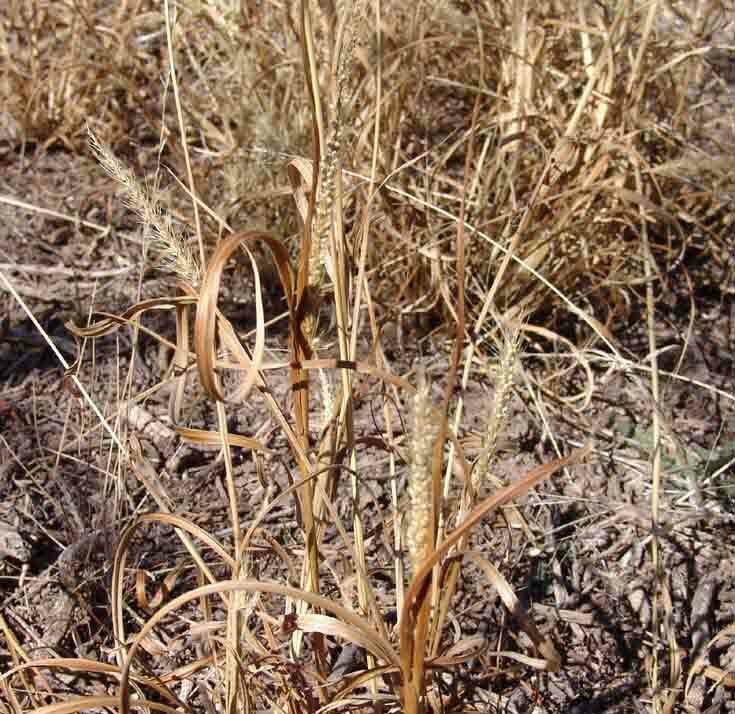 Bristlegrasses are widely distributed in temperate and tropical regions of the world, but of the 13 species known for the United States, Plains Bristlegrass is the only important native forage grass. 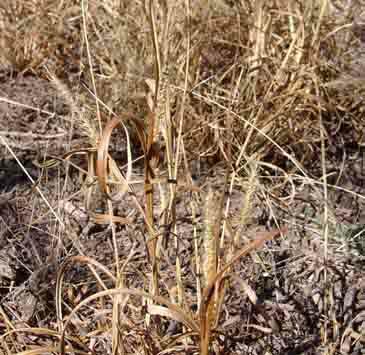 We find this grass mainly in our larger, silty washes and on nearby slopes, often the north-facing side. 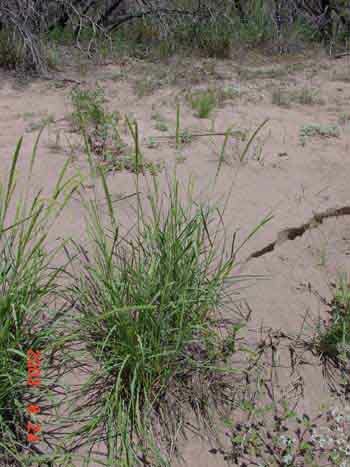 It is greatly prized by wildlife as well as cows, but is quickly damaged by excessive grazing.